College textbooks can sell for upwards of $250 for some subjects and then sell for less than $20 only 3 months later! The markup on textbooks is unbelievable and can present a serious strain on a student’s finances. That’s why it’s important to learn all of the ways to save money on textbooks! When I was a college student, I rarely ever purchased new textbooks. The first thing to do is to contact the professor and make sure that the book is required for the class (many book assignments are made by the department, and some teachers will hardly use them). I had a number of professors who announced on the first day of class that we shouldn’t buy the book because we would be taught and tested on their notes! Many students were then left in a terrible position because they had already purchased and opened the book – thus making it used (like driving a car off the lot)! You can save money on textbooks by purchasing them used from Amazon.com, or if you have (or are considering purchasing) a Kindle, buy the electronic version of the book. Amazon advertises that you can save up to 90% on the cost of textbooks by shopping on their website. You can even rent textbooks on your Kindle . Also, if you sign up for their Amazon Student program (completely free), you are eligible for free 2-day shipping on any order directly from Amazon! If you can’t find your book on Amazon, be sure to check out Barnes & Noble for their textbook deals. Many textbooks (just about all Economics and Finance books) will simply make small updates and change a few pages around and release a new version. Check with your professor to see if the previous version will be acceptable. I actually had a few nice professors that put the chapter and page numbers of the current and previous editions for all assignments! Many textbooks sold in the US will have an international counterpart that is nearly or completely identical and sells for a fraction of the cost! Get together with a group of classmates and buy one copy of the book to share. This will work wonderfully depending on the subject. Finance and other business subjects, where students are often called upon to do group assignments, give ample opportunity for this. This just calls for a little coordination and trust, but to save over $100 per book…it’s worth it! This is another option that is becoming quite popular. Sites like Chegg and Campus Book Rentals have become very efficient at renting books recently. Even Barnes & Noble offers textbook rentals for my alma mater! Many textbooks – especially older editions – can be found at your school library. If the book is popular, there will probably be a limit on how long you can check it out, but it’s still worth it to take a look. Call or visit your campus library as soon as you find out what books are required. A benefit of larger universities (like my alma mater), is having a network of dozens of libraries to choose from, some at different schools. How have you been able to save on textbook costs? Do you have a lot of professors who don’t require them at all? Have you had success using and following the previous edition of a textbook? Do you have any other tips that should be included here? 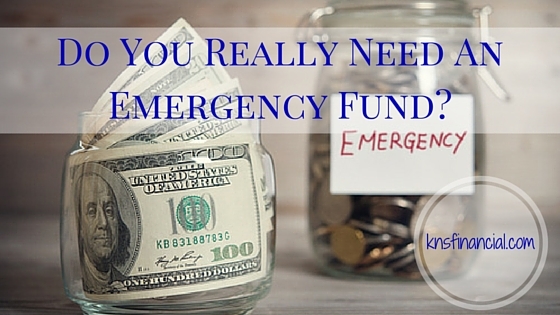 Previous Post: « Do You Really Need An Emergency Fund? Sharing textbooks is a great idea. I wish I did that when I was in school. There were so many classes that I just had to reference the textbook a couple times a quarter. Did you do that in school? or is this with hindsight? Hello Charles. Yes, I did that for a couple of classes…mainly in graduate school. For about 80% of my classes as an undergrad, I didn’t buy the book at all. I couldn’t deal with paying $150 or $200 for a book and only look at it a couple of times, as you said. You my friend are smarter than me. I bought so many countless “useless” textbooks that even the professors themselves don’t reference, they just put it on the syllabus for some odd reason, then a few weeks into the class, everybody realizes the professor never references the book. And some of these books were written by publishers who for decide to update the editions yearly… so there’s practically no resale value. I wish I read your guide when I was in school. Nice point about not buying textbooks. Some classes hardly use the textbook even though it will be listed as a required book for the course. Textbooks are expensive. End of story. However, I have found that purchasing online or used rather than new from the bookstore can save hundreds. There’s actually a website that has a feature for saving students money on textbooks. It’s actually quite useful – you input your class schedule at your respective school, and it tells what textbooks you need at the cheapest prices. I used it this semester and it worked like a charm. 1: “don’t buy it” So many times books are on the syllabus that you’ll never even touch and won’t help you do well in the course. Great idea to ask the professor, and also past students who sometimes might know better than the professor! 2. “buy past editions” the markoff on past editions can be really significant while the change in content can be really minimal. Great idea. Hello Andrew, thanks for the comment! It seems as though many are pushing back against the publishers – I wonder how long before we see the effects? I hope soon! It’s gotten out of hand….kind of like college tuitition! Where were you back when I needed to purchase textbooks? I agree that textbooks can be ridiculously expensive and virtually worthless after the semester is over. I never thought about renting them though. Good stuff! The fact that they depreciated so much in only 3-4 months is what bothered me the most! That’s why I rarely purchased books. Visiting from Yakezie! Nice blog! I wrote about this just a couple of days ago 🙂 My only hesitation with renting is often times the buying/selling yourself option is much cheaper than the renting. So far from my experience, unless the book s super costly it doesn’t make sense to rent. But each book is different, so it is nevertheless a good idea that is gaining popularity. @ Suba, renting is the only option that I have not tried out personally. It was still too new when I was in college. However, I have been extremely disappointed with the buying/selling option because the bookstores give you next to nothing at the end of the semester – even if there is no new edition. That means you will have to find another student or sell it online. I have done both with no problems, but it was more work. I guess it pays to research the buying/selling option before jumping on renting. Thanks for stopping by, and for the kind words! Oh, Akismet trapped your comment!